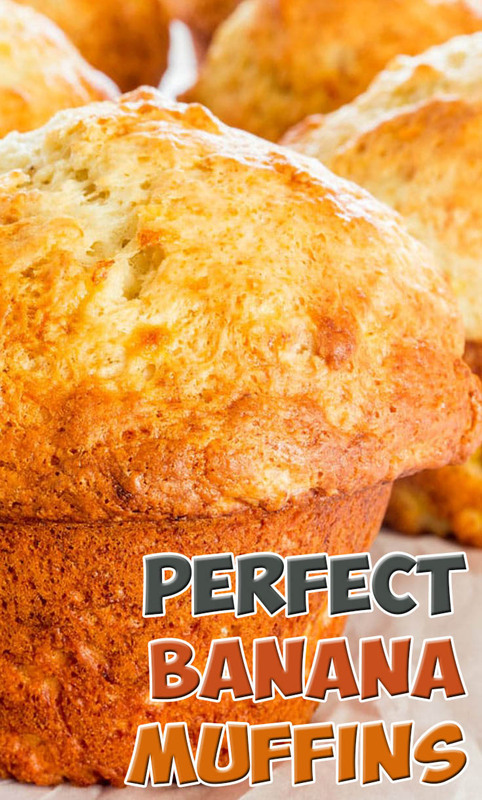 Prepare oven and muffin pan: Preheat the oven to 425 degrees F. Spray a 6 or 12 muffing baking pan with cooking spray, or line it with muffin liners. Combine dry ingredients: In a large bowl combine the flour, granulated sugar, baking powder and salt. Set aside. Combine wet ingredients: In another bowl whisk the mashed bananas with the eggs, applesauce, milk and vanilla extract. Make batter: Add the banana mixture to the flour mixture and using a spatula mix everything until the flour is moistened, don't over mix, and keep in mind the batter will be a bit lumpy. Spoon into muffin tin: Spoon the muffin batter (I used an ice cream scoop) into the prepared muffin pan. The batter should be enough for 12 small muffins or 6 jumbo muffins. Bake: Turn down the oven to 400 F degrees and place the muffins in the oven. Bake them for about 25 to 30 minutes, or until golden brown.